This week we visited the #FerrovialRobotChallenge 2nd runnerups from the Carlos III University in their workplace. They are pioneers in developing robotics projects in collaboration with the European Union since the 90’s. During all these years, the RoboticsLab at Carlos III University has managed to make a name for themselves, becoming one of the most important research and development centres for the robotics field in Spain and Europe. Project BADGER objective, scheduled to be completed by 2019, is designing and developing an autonomous underground robotic system equipped with tools for constructing stable bores and pipelines that can drill, man-oeuvre, localize, map and navigate in the underground space. The BADGER project, which is lead by RoboticsLab together with partners from different universities and companies, was one of the few funded projects in the last LEIT ICT 25 2016 Call, where only 7,4% of the projects raised funds. The proposed system will integrate different mechatronic concepts together with robust drilling tools to yield advanced motion capability; will include perception, localization and mapping techniques to be able to interpret the surrounding environment. It will also merge the mentioned underground data with digital maps to track the motion of the robot with respect to physical landmarks. 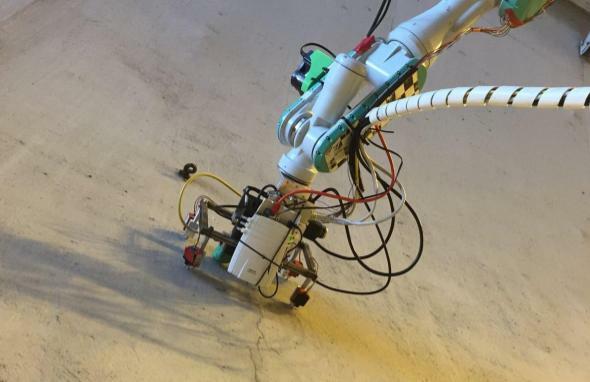 The Robo-Spect project, which was successfully finished last year, consists on a robot for tunnel inspection processes, up until now performed manually by qualified operators. With Robo-Spect, many uncomfortable or even dangerous activities such as working among dust and absolutely no light environments or exposition to toxic substances are done by robots that can give an objective and quality inspections by collecting different types of data. The developed robot, integrates different robot control, machine learning, sensing and computer vision technologies resulting in a robotic system that automatically scans the intrados for potential defect and detects and measures radial deformation in the cross-section, distance between parallel cracks and open joints (everything with milimetric accuracy) that can affect the tunnel stability and could result in a tunnel collapse. In sum, Robot-Spec allows an automatic, reliable and quick assessment of the structural condition and safety of a tunnel. In order to deal with this complex task, an interdisciplinary consortium hasbeen created, in which another UC3M robotics group, a group on intelligent environments from UPM and the Hospital of Alcorcon (Madrid) are working together with RoboticsLab. 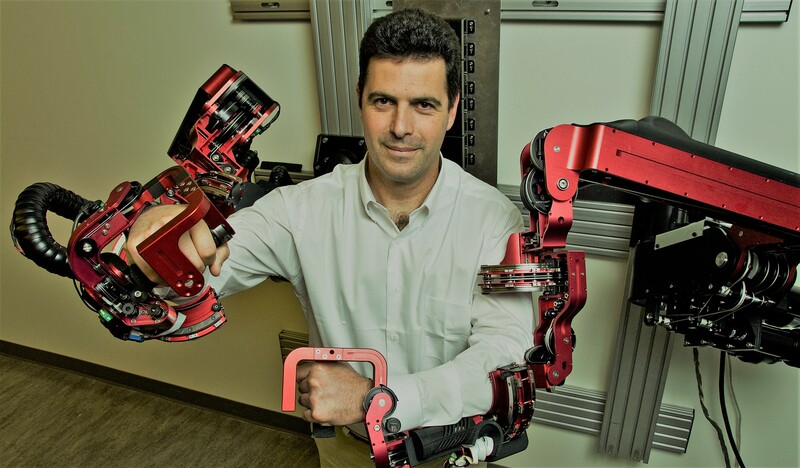 Here we have seen some of the latest and most advancedprojects that RoboticsLab is working on. Do you know about another Lab doing a similar job? Would you like to work at this Lab?